Profound Medical's TULSA-PRO® technology offers a new and paradigm-changing treatment for men with prostate cancer, while reducing the risks often associated with traditional treatments. 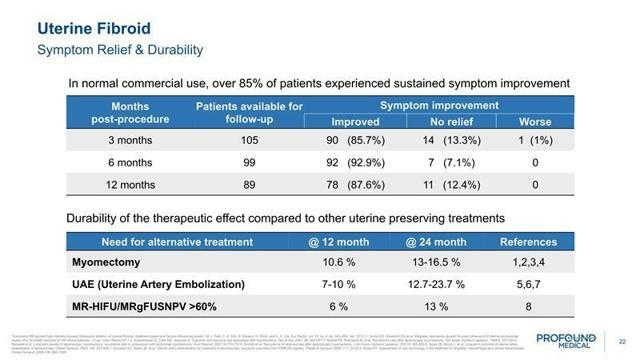 Profound Medical released the results of their TACT trial, which will be used to file a 510K FDA application in order to have the TULSA-PRO® approved in late 2019. Investment Firms believe Profound Medical offers significant upside between 150% and 400%. Profound Medical has sufficient cash on hand in order to fully launch the TULSA-PRO® in late 2019 or 2020. TULSA-PRO® is approved by the EU and being used in Europe. 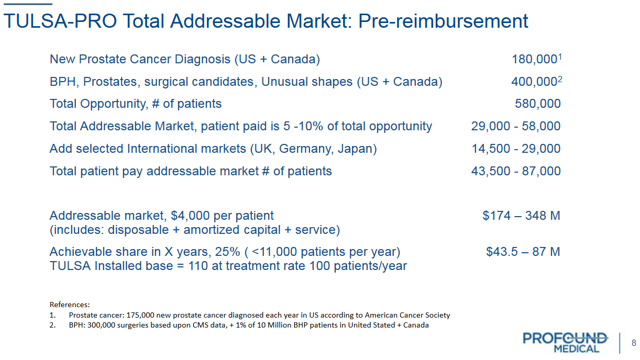 Profound Medical (OTCQX:PRFMF) is a small-cap ($69M) Canadian medical device company which focuses on incision-free, MRI guided thermal ultrasound procedures, to safely vaporize or ablate different forms of diseased tissue, whether they are cancerous, precancerous or benign lesions. 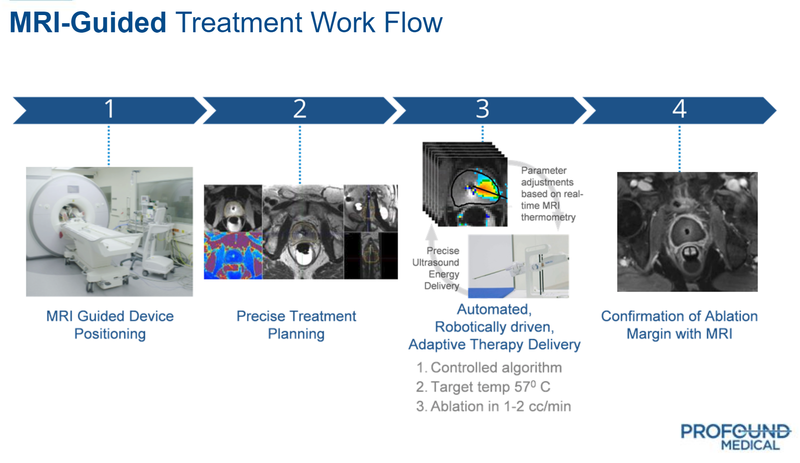 Profound Medical currently has two novel technologies: 1) the TULSA-PRO® for MRI guided ablation of prostate cancer and BPH and 2) the Sonalleve® for the treatment of uterine fibroids and pain treatment for bone metastases. Currently, Profound Medical is focusing on FDA approval for the TULSA-PRO®. TULSA-PRO® is presently approved in Europe and is already in use in a number of European countries. 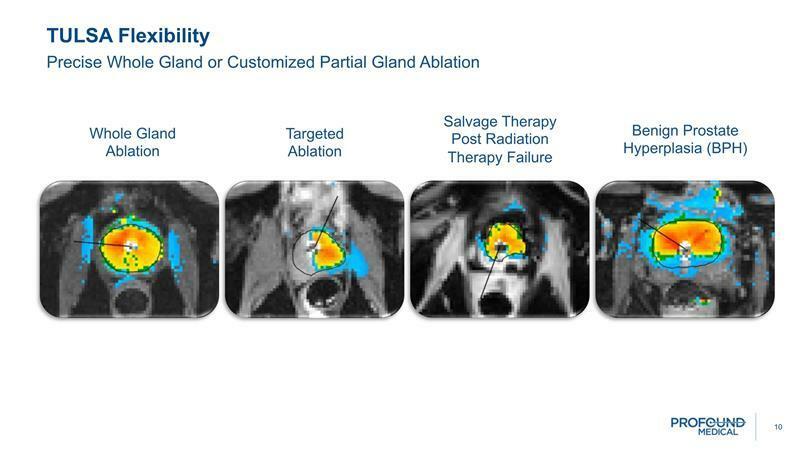 Additionally, Profound Medical has just released the results of their TACT (TULSA-PRO® Ablation Clinical Trial) study which will allow them to seek FDA approval for the TULSA-PRO® by year's end. Because of the exceptional TACT study results, Profound Medical hopes to be able to fully market the TULSA-PRO® in the United States and Europe as early as Q3/Q4 of 2019. 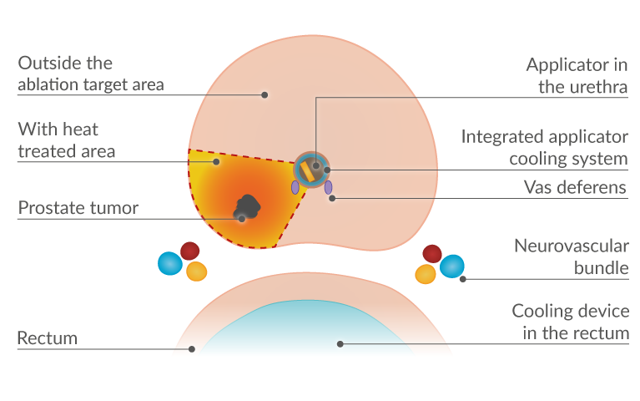 This article will focus on the TULSA-PRO® since this technology is closest to FDA approval. 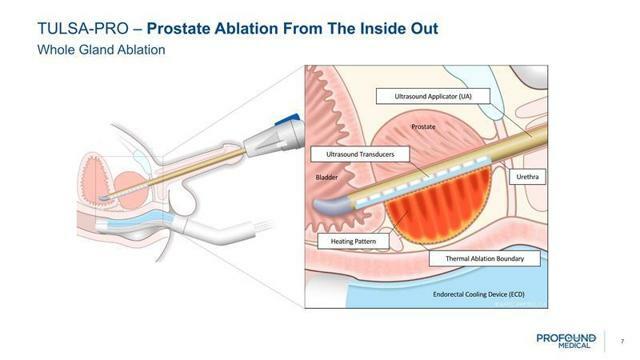 The TULSA-PRO® is a new and paradigm-changing treatment for men with prostate cancer which is minimally invasive and allows patients to return home on the same day they undergo the procedure. 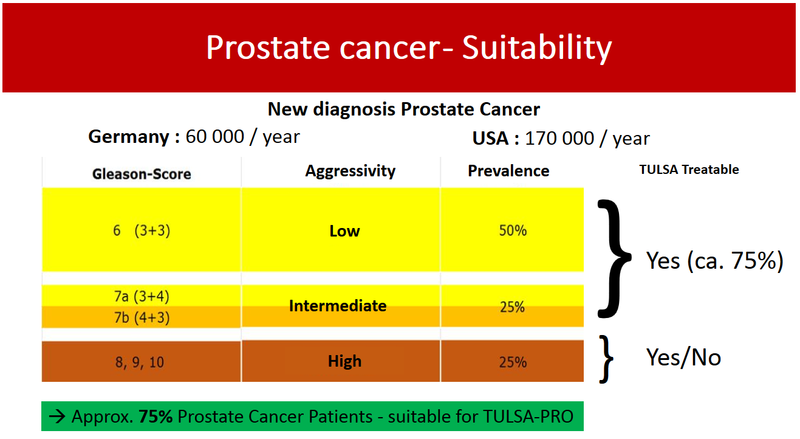 The TULSA-PRO® also allows patients to reduce the risks often associated with traditional prostate cancer treatments like a prostatectomy or radiation therapy. 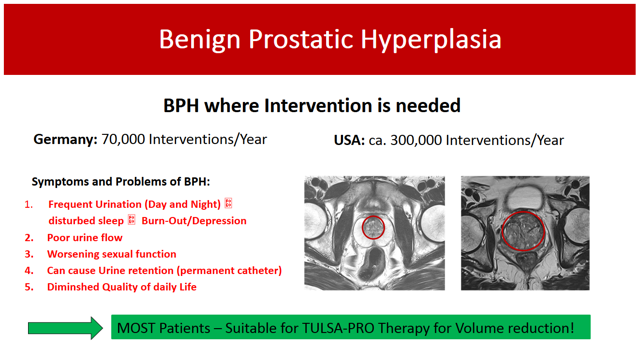 In addition to being an effective treatment for prostate cancer, the TULSA-PRO® is an efficient treatment for patients with Benign Prostatic Hyperplasia (BPH) also referred to as an Enlarged Prostate. The unique TULSA-PRO® procedure is a visibly efficient medical quartet which separates it from traditional procedures. First, the patient is sedated on a MRI machine. Second, a disposable ultrasound applicator is inserted into the patient's urethra. Third, the doctor uses real time MRI imaging displayed onto the Surgeon Console Control Room computer monitor to select the area of the prostate to be ablated. This novel approach allows the doctor to select Whole Gland Ablation, which ablates the whole prostate, or Targeted Ablation, which only ablates a confined area of the prostate where the cancer or diseased tissue is located. Finally, the doctor uses the Console Control to apply the thermal ultrasound while monitoring the temperature of the prostate and surrounding tissue in real time. After an hour or two in recovery the patient wakes up and is sent home to recuperate. The speed with which doctors are able to perform this procedure would allow them to treat four patients in a day rather than the typical two, which in addition to its effectiveness, may help entice doctors to embrace the procedure since two extra procedures per-day allows them to increase their profit margins. The TULSA-PRO® avoids the risks of other prostate procedures by specifically focusing on treating just the prostate. A prostatectomy removes the whole prostate along with the nerve bundles around the prostate, which causes serious side effects. Similarly, when undergoing radiation treatment the whole area, including the nerve bundles, are hit with radiation. This causes the nerve bundles to wear down over time. The nerve bundles are important for proper erectile function and once worn down can impair erectile function. Additionally, the urinary and rectal pathway can be impaired by both methods causing seepage and even requiring the use of diapers. The TULSA-PRO® has water flowing through the ultrasound applicator and an endorectal cooling device, so the urinary pathway and rectal pathways are always protected. In addition to prostate cancer, the TULSA-PRO® also allows doctors to treat patients with BPH or an enlarged prostate. 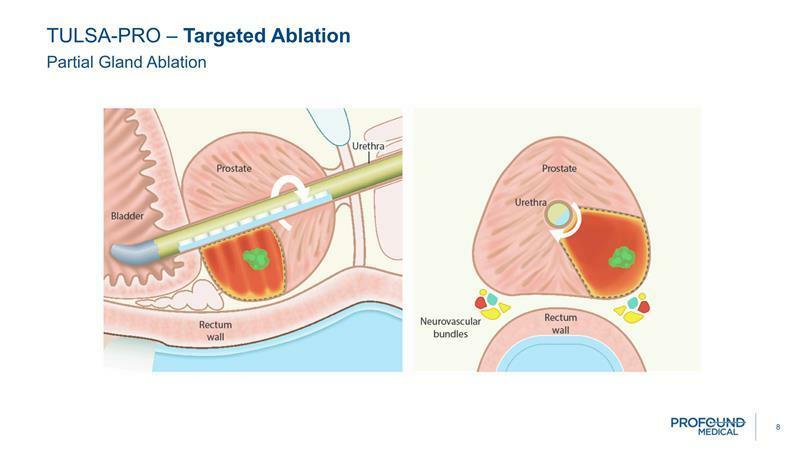 The doctor simply determines what parts of the prostate have irregular tissue and performs a targeted ablation of the diseased area of the prostate as described above. Since a large number of BPH patients experience some form of urinary dysfunction, Profound Medical's Phase 1 study was exciting because it demonstrated that BPH patients had significant urinary improvement after receiving the TULSA-PRO® procedure. 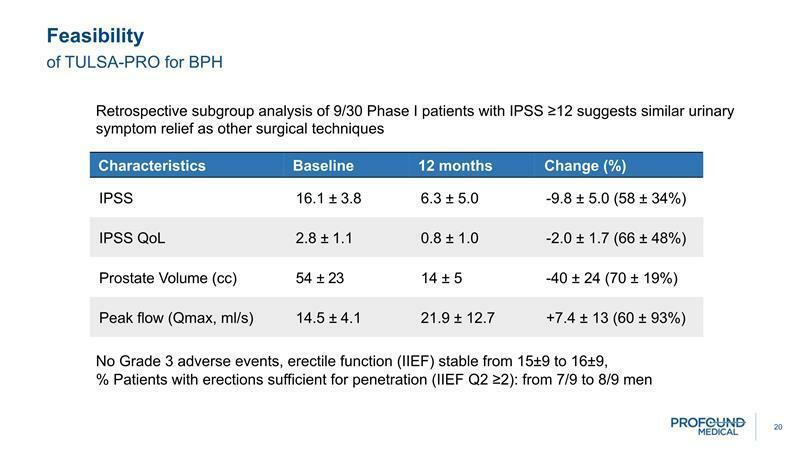 Finally, the ALTA clinics evaluation of BPH patients confirms the phase 1 study and also shows that the TULSA-PRO® procedure improved erectile function for patients. On April 4, 2019, Profound Medical released the results of the TACT Trial, which will be used to file a 510K application to the FDA in order to get the TULSA-PRO® approved for distribution in the US. The results of TACT are quite technical; nevertheless, a couple of things stand out. In paragraph three, Profound points out that the FDA's performance goal for a PSA reduction in patients is 50%, meaning that they seek an improvement in half of the prostate cancers patient's PSA score (PSA is a protein produced exclusively by the prostate and a blood test for PSA can help to identify cancer in patients.) The results showed that 110 out of 115 patients, or 95.7%, achieved a PSA reduction. 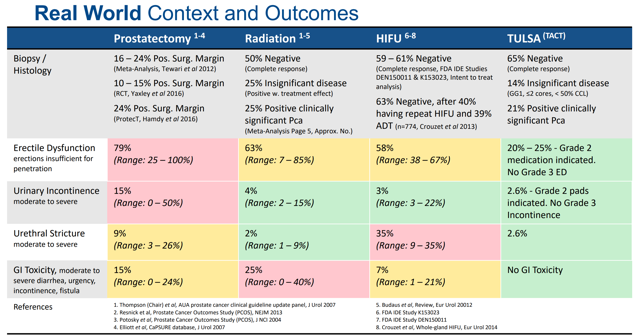 More impressive, however, was the fact that out of the 111 patients who elected to have a twelve month follow up biopsy, 65% had no evidence of any cancer. In addition, 14% had reduced the disease to a point where there was "virtually no potential for metastases or cancer-related mortality." Thus, the TACT trial demonstrated that nearly 80% of the patients decreased their risk of dying from prostate cancer. Profound Medical intends to file a 510K FDA application by the end of the current quarter. One of the advantages of filing for a 510K is that they only need to prove that the TULSA-PRO® is "substantially equivalent" to another legally US marketed device. This simply means that the new device, The TULSA-PRO®, needs to be at least as safe and effective as the predicate device. Given the exceptional results of their TACT study, it would seem as though they have compiled sufficient evidence to satisfy the "effectiveness" portion of the FDA criteria. However, without knowing what device the TULSA-PRO® is being compared to, it's impossible to know if they meet the safety standard, though their TACT results seem positive when compared to alternative treatments. 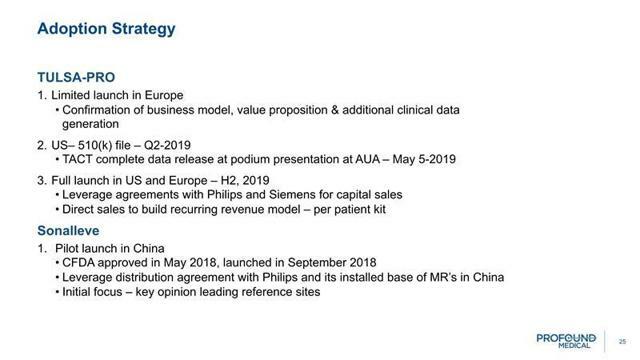 Profound Medical hopes to receive the 510K approval for the TULSA-PRO® by the end of 2019, which would enable them to fully launch the TULSA-PRO® in the U.S. and Europe in late 2019, although some analysts are expecting a 2020 launch. There are a number of Investment Firms who seem to like the potential upside Profound Medical offers. 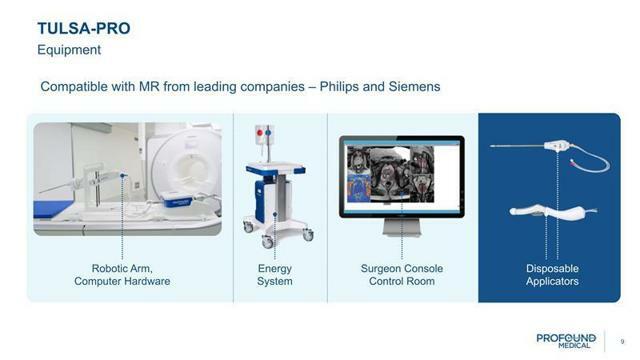 All of these investment firms speculate that Profound Medical could have a tremendous return on capital, for example: 1) Mackie Research maintained their "Speculative Buy" rating with a target of $2.15 a 159% return; 2) Echelon Wealth Partners maintained its "Buy" rating with a one-year price target of $3.00 a 275% return; 3) Paradigm Capital maintained a "Buy" rating with a one-year price target of $4.00 implying a of 406% return. All of these investment firms highlight the significant upside investing in a small-cap company like Profound Medical has to offer. In the Market-Making world for traders, it seems like Profound Medical offers investors a chance to invest in a "Teenie Call," given the fact that the stock trades between .60 to .80 cents. A Teenie Call, in stock terms, is a stock that can be purchased extremely cheaply. The cheap price level makes the stock attractive to Market-Makers and Investment Firms because the stock can increase exponentially, in percentage terms, once the stock starts to catch a bid or move up. Put simply, it's much easier for a stock trading at 80 cents to have a 100% return on capital than a stock trading at $20. Burn Rate: Financially, Profound Medical has enough cash on hand to fully launch the TP in Europe and in the U.S. regardless of whether it takes place in 2019 or 2020. 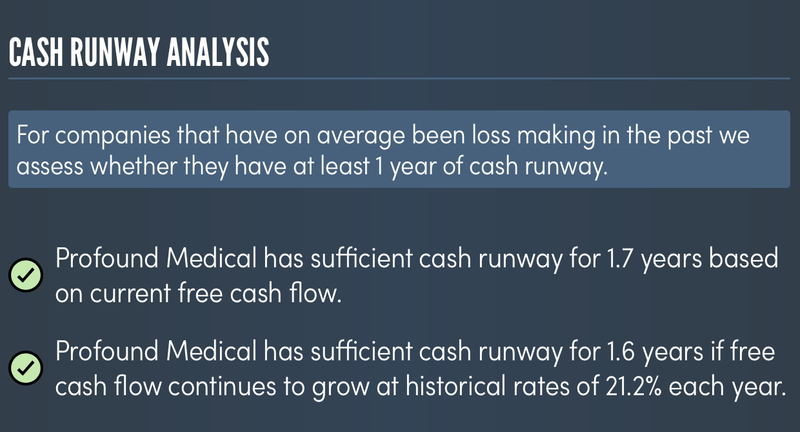 Profound Medical's Balance Sheet, released during their 2018 fourth quarter results and dated December 31, 2018, shows that they have $30,687,183 in cash. Rahul Sarugaser of Paradigm Capital noted in November of 2018 that the company had $35 million in cash with a burn rate of approximately $5 million per quarter. The fourth-quarter cash on hand confirms Sarugaser's assessment that Profound did indeed burn $5 million in the fourth quarter. With a burn rate around $5 million per quarter, Profound Medical has roughly enough cash on hand to operate for another 1.5 years. 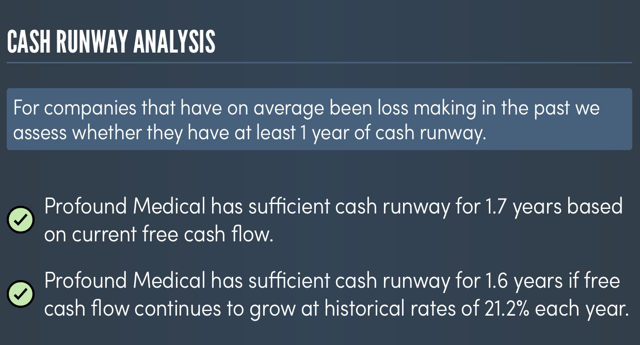 However, Simply Wall Street's financial assessment of Profound Medical's cash on hand/burn rate estimates that Profound Medical has "a sufficient cash runway for 1.6-1.7 years." Reoccurring Revenue Model: One extremely exciting detail about the TULSA-PRO® which could lead to significant revenue once the procedure becomes standard in the United States and Europe is the Reoccurring Revenue Model. This model simply means Profound Medical will still get paid for each procedure performed even after they profit off of the initial sale of the TULSA-PRO®. Due to the unique makeup of the TULSA-PRO®, each procedure requires a new disposable applicator. Profound Medical currently charges around $4,000 for each disposable applicator. 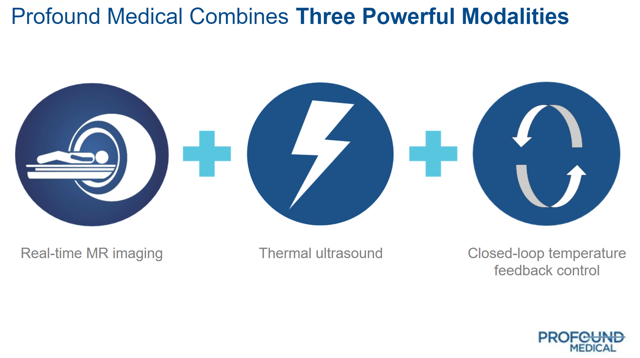 With the diagnosis of 230,000 cancer patients and 370,000 BPS patients per year in Germany and the U.S., Profound Medical has the opportunity to generate significant revenue as the TULSA-PRO® becomes a more widely accepted form of treatment. 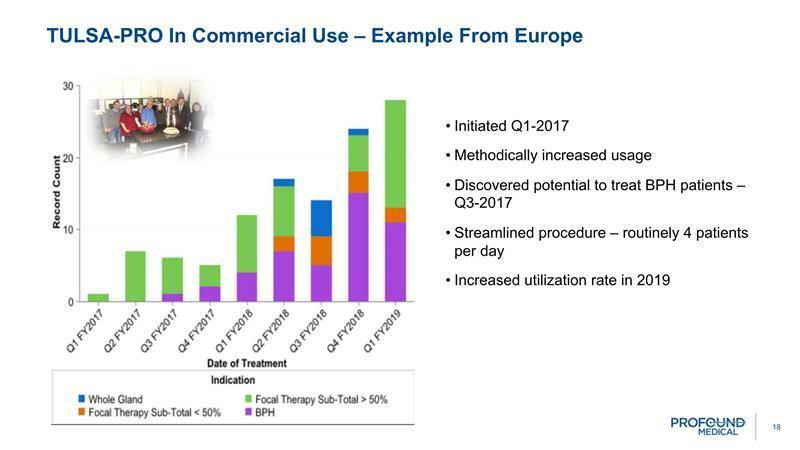 Real-World Application: In a recent presentation by Profound Medical CEO Arun Menawat, he displayed a graph of the real-world commercial performance of the TULSA-PRO® in Europe over the last two years. The commercial performance highlights the steady increase in use of the TULSA-PRO® as doctors and patients become more confident in the treatment and the outcomes it offers. Menawat went on to say that he believes the real-world European example of the TULSA-PRO® can be replicated in new markets as it is launched in the U.S. and Canada. Europe has already approved the TULSA-PRO® for treatment of cancer and BPH. Currently there are five treatment centers located in Europe: the ALTA Klinik in Germany, where Agron Lumiani, M.D. performed the first paid procedure in 2017; the Uniklinik Koln also located in Germany; Radboud umc in the Netherlands; ResoFus Alomar located in Spain; and finally the Turku University Hospital in Finland. These clinics currently account for the reoccurring revenue being generated by the TULSA-PRO®. The ALTA Klinik is considered a premier clinic for the treatment of prostate cancer and BPH. The ALTA Klinik has steadily increased the the use of the TULSA-PRO® over the last three years and are on pace for 156 procedures in 2019. 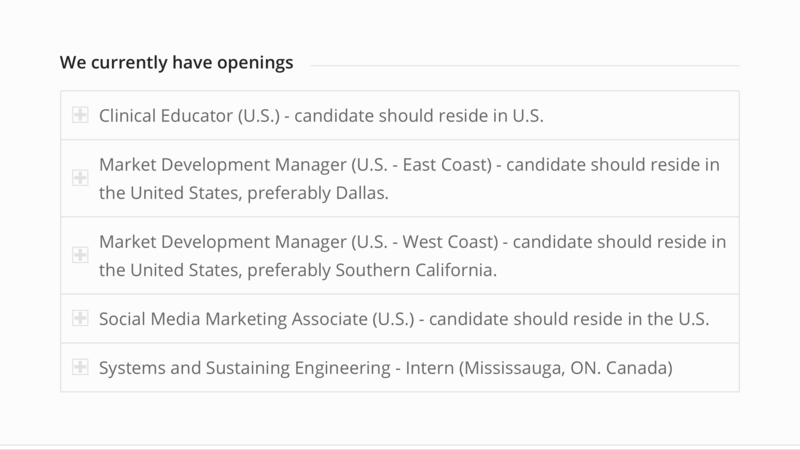 A brief job scan shows that Profound Medical has recently posted a number of job openings in the United States, which leads to two logically inferences. First, it shows that Profound Medical believes they are on the verge of FDA approval. Second, the hiring of a Market Development Manager and Social Media Marketing Associate confirms that they are preparing for the launch of the TULSA-PRO® in the United States. 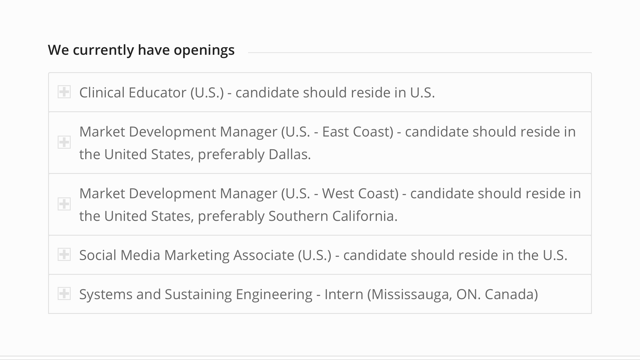 The hiring of a Market Development Manager can be a precursor to assembling an in house, or contracted, medical sales team which will likely be needed to fully launch the TULSA-PRO® in the United States. 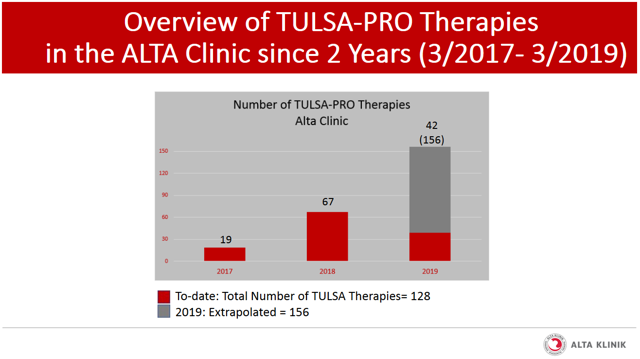 There are also examples of patients who are extremely satisfied with their TULSA-PRO® treatment during the TACT trail: a couple satisfied patients are found on Profound Medical's website; one is located on ALTA Klinik's website; and there was even an article published in the Livingston Daily about a TACT patient who reduced his PSA levels from 7.2 to less than 1. Profound Medical's other device is the Sonalleve®, which is currently being used in China. The preliminary results of the Sonalleve® system seem encouraging and further test results are expected later in 2019. However, we will save an in depth look at the upside potential of Sonalleve® for another day, after the new test results are released. 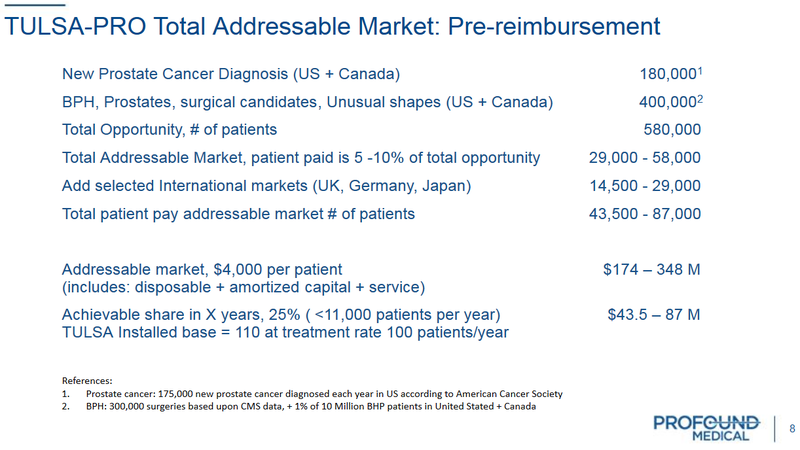 The biggest risks to Profound Medical's future is its 510K FDA application. The FDA might require further testing before approving the procedure. Additional research would require time and cash in order to finance the studies. This would eat into their cash reserves. If the FDA required extensive research, Profound Medical might be forced to raise more money which would dilute the value of their current shareholders. However, this scenario seems unlikely since the TULSA-PRO® would immediately be the safest and most effective treatment for prostate cancer and BPH upon its approval. Profound Medical's MRI-guided ultrasound treatment offers a truly new and paradigm shifting way to treat both prostate cancer and enlarged prostate. The success of the TACT trial highlighted the benefits of the TULSA-PRO® while showing it reduced risks often associated with traditional therapies. Despite the fact that Profound Medical still needs FDA approval, the TACT trial results should allow the TULSA-PRO® to be approved in late 2019. With a full launch of the TULSA-PRO® in the U.S. and Europe in late 2019 or early 2020, investors in Profound Medical could be poised for a tremendous return on investment, possibly in the 150%-400% range. Disclosure: I am/we are long PRFMF. I wrote this article myself, and it expresses my own opinions. I am not receiving compensation for it (other than from Seeking Alpha). I have no business relationship with any company whose stock is mentioned in this article.